The rise of smartphones, tablets, Skype, and FaceTime have fundamentally changed how we work and communicate with one another. Just a few years ago, having a physical conference room was an absolute necessity for most businesses. Today, you may be wondering how you might put that space to better use. After all, a good portion of employees work remotely. Even when a business hosts a video or web conference to include remote team members, it’s not unusual for those huddled around the conference room table to log in on their laptops so they can take advantage of all the real-time collaboration features offered by desktop video conferencing in their virtual conference room. Whether your office has a conference room or not, creating a virtual conference room with audio, video, and web conferencing capabilities could eliminate the need for a dedicated meeting space without having to compromise on human interactions. Here’s what you need to know. It’s no longer necessary to invest in extensive audio / video hardware — For example, our desktop video conferencing solutions run in a standard web browser and utilize each participant’s onboard webcam and microphone. Virtual conferencing is easy to use and packed with helpful features — Hosting or participating in a video or web conference is easy with our service. If you can navigate a basic website, you can easily manage a video conference. Features such as screen sharing, collaborative notes, recordings, chats, personal share space, pass-the-presenter, and a companion mobile app enhance the virtual conferencing experience. In fact, you’ll probably miss these tools the next time you’re in a regular in-person meeting. 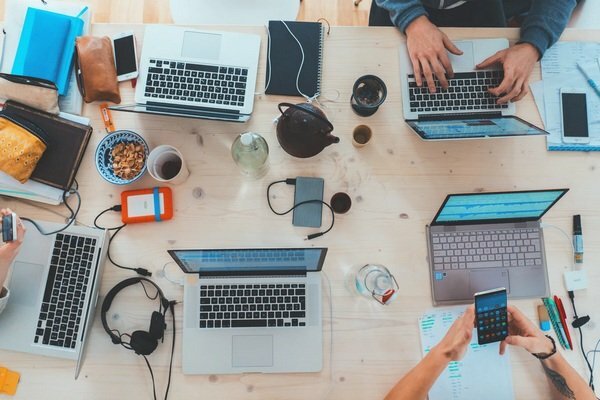 Geographic boundaries are no longer obstacles to getting things done — Getting your entire team together in person has become increasingly impractical, especially when many work from home, in co-working spaces, in various branch offices, in the field, or in entirely different countries for that matter. With a virtual conference room, location no longer factors into the equation. Everyone simply joins at the appointed time from wherever they happen to be. They can join using any type of device, too, including desktop computers, laptops, smartphones, or tablets. Different types of conferencing services are available — It’s not always necessary to meet with webcams on or with screen-sharing enabled. In many cases, an audio conference is a desirable choice. We offer audio, video, and web conferencing, allowing you to build the right conferencing solution for your needs. Even better, each of our services is offered without a contract, which means you can add or remove services as your needs change. For example, if you’re working on a short-term contract with overseas vendors, you may need our international conferencing plan for a few months. Once that contract is up and you no longer need to communicate internationally, you could stop using the service without penalty. Likewise, you may want to host a series of web conferences after a product launch. Once you’ve completed the series and have posted the recordings on your website, you may want to take a break with that service. Again, since there’s no contract, you can start and stop the service as needed. We offer a variety of virtual conferencing tools including international audio conferencing, video and web conferencing, special event conference calls, global virtual phone numbers, and more — all without a long-term commitment on your part, and all powered by modern, high quality telecommunications networks.